Our 19 inch rackmount keyboard shelf, server rack utility drawers, and roll out keyboard drawers come in a variety of styles. These rackmount keyboard drawers fit 2 post server racks or 4 post open frames and enclosed cabinets. Each rackmount keyboard tray will accommodate up to a 16" w keyboard (not included). If you would like a pull out keyboard drawer with the server rack keyboard already integrated, consider the RK 1u rackmount series. 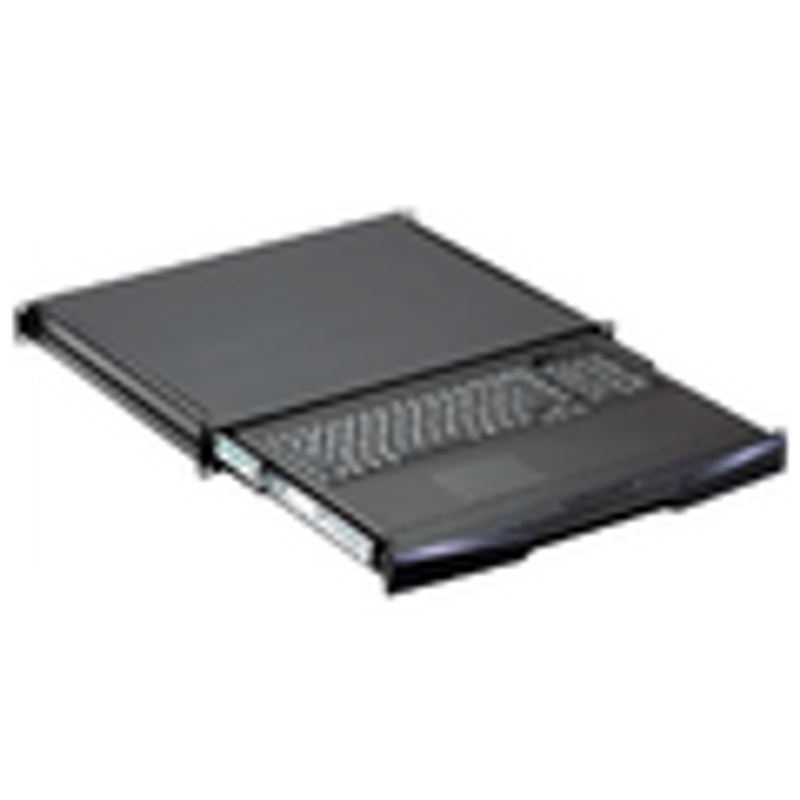 This rackmount keyboard tray is designed to work with IBM, Dell, HP, Compaq, SUN, etc, .the keyboards support Windows, Linux and Solaris. Server rack drawers are available with trackball or touchpad. From small 3u rack drawers to large cabinets, several varieties of rack mount drawers support a built in 8 or 16 port KVM switch. Order online, call toll free 1-800-962-2576 to talk with your account manager or email sales@serverrack.com.